A Blue Squash | What’s Wrong With This Picture? Hum, something has gone amiss with the seasonal decorating on my front porch. Busy with selling my doll collection on eBay, I overlooked buying the orange and yellow squashes that herald autumn and enhance the front of the house. 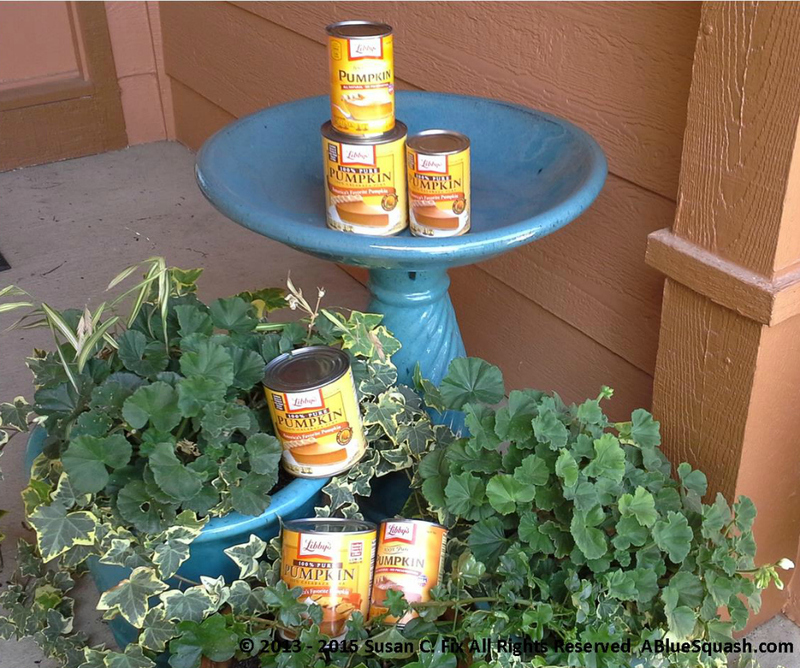 Wanting to get in the spirit of fall, yet not in the mood to dig out the Halloween décor, I substituted canned pumpkin for my usual decorations. After all, pumpkin is pumpkin, right? inappropriate relationships because I was lonely. jobs I didn’t like because they paid the bills. dispiriting thoughts and behaviors because they were familiar and all I knew. To find your best, instead of waiting for the New Year and all those soon-forgotten resolutions, start now with a daily mind, spirit, body program (think in minutes not hours). committing to releasing fear bit by bit and doing the work of excavating your real self. finding and trusting your Higher Power. learning to calm your mind. never comparing your program, growth, pain or joy with another person’s experience. loving, approving and respecting yourself in every stage of development. taking baby steps that lead to evolution. 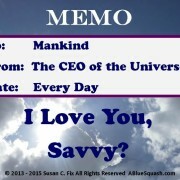 When first starting a daily program, my mind bounced, bubbled and boiled with thoughts darting all over the place. It was difficult to get even thirty seconds of peace. After countless baby steps, taking classes, reading books, watching videos and doing the work every day, I am harvesting a wonderful life. What’s wrong with this picture? Absolutely nothing – depending on your perception. 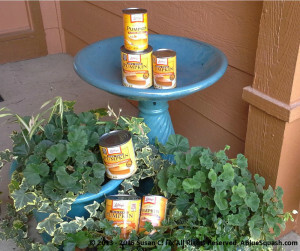 Libby’s canned pumpkin is my favorite to cook with; however, I like the “real thing” to decorate my porch. So instead of posting another doll on eBay, perhaps it’s time to take a quick break, go to the store and pick up a couple of pumpkins. Or better yet, I’ll ask my family to join me for some quality time at the Andelin Family Farm Pumpkin Patch & Corn Maze here in Sparks, Nevada. It is a treat to enjoy my family’s companionship and that is the real thing too.